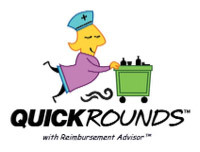 Look what’s new at W. L Schneider Associates: QUICK ROUNDS ™! WLSA is pleased and excited to announce a joint venture with the QUICK ROUNDS organization; a supplier of state-of-the-art web-based assessment and medical ordering software. With this cutting edge technology WLSA can save facilities tens of thousands of dollars ($$$). With their Reimbursement Advisor, Portable Record Keeping, Complete Material Management, Standardizing Chart Information, HIPPA Compliant Security and Real Time Report Generation QUICK ROUNDS streamlines a facility’s work flow and improves operations across the board. W. L. Schneider will introduce this new program to their current clients and new customers starting January 1st, 2014. “Because We Care”, W. L. Schneider is always searching for new and innovative ways to improve services to their customers. Please feel free to contact Joe Sullivan (President) .. or .. Kevin Gorman (Clinical Liaison and Business Development Specialist) at: 215-624-7201 or toll free at: 866-357-7201for additional information on this exciting new service from W. L. Schneider Associates. W.L. SCHNEIDER ASSOCIATES is proud to announce that they are now a Contracted Provider with HIGHMARK. Since 1938 CAPITAL BLUE CROSS has assured the maximum in quality health insurance products to the 21-county Pennsylvania area . Their broad-reaching physician network offers more than 11,000 professionals providers , available to deliver quality care & service to its many members. 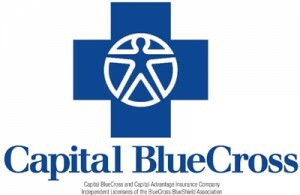 Like WLSA, CAPITAL BLUE CROSS is dedicated to servicing and supporting the communities we live & work in. The quality of our service reflects the quality of our partners. Please feel free to contact W.L. SCHNEIDER ASSOCIATES for additional information. WLSA is pleased and honored to announce a new relationship agreement with TRICARE (www.tricare.mil); the premier healthcare program serving our dedicated servicemen, servicewomen, retirees and their families world-wide. WLSA is proud to be a recognized in-network provider to the TRICARE organization and their clients. Please feel free to contact WLSA or the TRICARE corporation for more information. WLSA is proud to announce its new partnership with the KEYSTONE MERCY HEALTH PLAN (www.keystonemercy.com), a member of the AMERIHEALTH family of companies and Pennsylvania’s largest medical assistance (MEDICAID) managed care health plan. Serving Bucks, Chester, Delaware, Montgomery and Philadelphia counties, the KEYSTONE MERCY HEALTH PLAN has been an unprecedented success story in its 25(+) year existence. To learn more, please contact WLSA for more information. WLSA is proud to announce our new venture with KAIROS HEALTH SYSTEMS; a provider-owned health system that services Pennsylvania, Delaware and Maryland and specializes in retirement living, nursing facilities and community based services. With the addition of KAIROS HEALTH SYSTEMS (www.kairoshealthsystems.com), and the recent joint venture with MOBILE WOUND CONSULTANTS, WLSA’ aggressive growth plan is right on target. Please feel free to contact us for more information. WLSA would like to introduce Principals Theresa Brady and Tom McNulty of MOBILE WOUND CONSULTANTS, INC. in Media Pennsylvania. 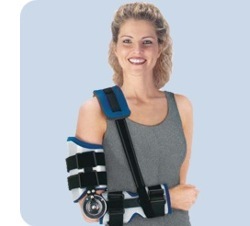 Mobile Wound Consultants offers wound rounds in your facility at NO COST TO YOU. They are an independent nurse practitioner group specializing in wound assessment and management of residents living in Long-Term Care facilities. Mobile Wound Consultants has served Long-Term Care facilities and Alternate Site areas in the Greater Philadelphia Area for over 12 years. They offer wound rounds as recommended by the National Pressure Ulcer Advisory Panel (NPUAP). Contact us for more information. It’s an exciting time at WLSA , with new clients & contracts joining the firm. 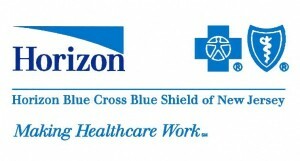 A major acquisition for WLSA is our first ever contract with HORIZON BLUE CROSS – BLUE SHIELD of NEW JERSEY (www.horizon-bcbsnj.com). Effective July 1 , 2011 this agreement allows us to service patients and residents from Morris county through Cape May , New Jersey. 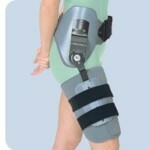 The contract includes all wound care, urological, ostomy & durable medical equipment (DME) & supplies. Our goal at WLSA is to supply Quality Customer Service, Top of the Line Products and Affordable Pricing. As our organization grows, we invite your feedback & suggestions on how we can better serve our clients, patients/residents and the Healthcare community in general. 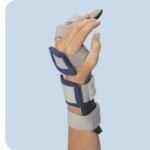 Visit Manheim Medical’s web site at www.manheimmedical.com for more information on medical supplies for the Long-Term Care market segment.